A number of international students wanting visa sponsorships are alleging they have been cheated of tens of thousands of dollars by a woman who presented herself as a lawyer and a registered migration agent. Chathurika Dissanayaka makes several trips to Melbourne city every week from Cranbourne where she lives in a rented house with her husband and 4-year-old son, in the hope of finding the woman whom she paid $20,000 for a business partnership. The 38-year-old former international student from Sri Lanka says she agreed to pay $50,000 for a business partnership to a woman who identified herself as Shamna Singh and presented herself as a lawyer and a registered migration agent in online ads. “She told me she has a job agency. But myself being an IT person, she said it would be hard to find a job and she suggested I should buy a business partnership,” says Ms Dissanayaka. “I paid $20,000 according to the payment plan set out in the contract. 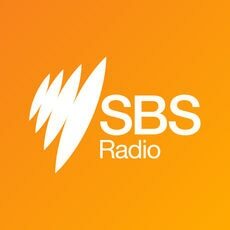 She was supposed to apply for immigration approval for my partnership which she didn’t do and demanded I pay another $15,000,” Ms Dissanayaka tells SBS Punjabi. Chathurika Dissanayaka says she has been defrauded of $20,000 in a business partnership deal she wanted in order to sponsor herself for a 457 visa. She says her last contact with Ms Singh was in March and she hasn’t answered Ms Dissanayaka’s calls or met her since then. Ms Singh’s business Australian Immigration Legal Support Centre was deregistered in April this year. Ms Dissanayka says she has approached Victoria police, VCAT as well as the Immigration Department, however, she has not received any assistance. “VCAT say they can’t do anything because the business is already deregistered, the police say it’s a civil matter. I don’t know how many more people would fall prey to her fraud before an action is taken,” she says. The government could let private companies perform visa-related works, including fraud detection, administering tests and recommending decisions on visa applications. After the Migration Review Tribunal refused her appeal for a post study visa last year, she and her husband lost the right to work in Australia. She says it was her husband’s hard-earned money that she paid Ms Singh to buy a business partnership in the hope to start a life here. But she is not alone in this. An international student from Vietnam who wants to be identified as Ms Nguyen claims she paid Ms Singh $35,000 for a Regional Sponsored Migration Scheme visa last year after seeing an online advertisement. She says when her visa appeal came before the Migration Review Tribunal for a hearing, Ms Singh refused to represent her and stopped answering her calls, leaving on her own. Ms Nguyen says her family in Vietnam borrowed the money at high interest rate to pay Ms Singh. Newly arrived immigrants have been a target for visa scammers for a long time. When asked whether she was trying to buy a visa sponsorship, Ms Nguyen says her deal with Ms Singh was to find a sponsor and carrying out all the paperwork for her “PR package”. A Korean international student who doesn’t want to be identified also claims to have paid Ms Singh $21,000 for a visa sponsorship before she stopped answering his calls. He says he went to Ms Singh’s house in Footscray in Melbourne last month and met her husband who assured him that she would call him the next day. He claims Ms Singh called him the next day and threatened with pressing charges of trespassing if he again came to her house. “I am worried that she is still out there and cheating other people,” he tells sbs Punjabi. All three of them were dealt with by Priyanka Mahajan- a member of the staff at Ms Singh’s Bourke Street office in Melbourne before it was shut down. When SBS Punjabi contacted her, she claimed she had also paid $35,000 to Ms Singh for finding her a visa sponsorship. “I began working there on voluntary basis for some work experience only after seeing her ad for visa sponsorship. But she never found me a sponsorship,” Ms Mahajan told SBS Punjabi. She says she is herself contesting her visa refusal in the MRT and has not heard from Ms Singh since March/April this year. Abel Kalpinand Prasad admitted to duping Jaspal Marok, an international student, of $33,000. He also pleaded guilty to stealing $100,000 from the Tax office. Ms Mahajan says she knows at least three victims who have paid tens of thousands of dollars to Ms Singh for visa sponsorship and haven’t got anything in return. “I am myself a victim here. I haven’t just lost money but also my visa status is at stake. Shamna Singh did not respond to SBS Punjabi’s messages left on her phone voicemail and social media. Department of Immigration and Border Protection did not confirm whether any action was initiated upon receiving a complaint from Ms Dissanayaka. The DIBP said it’s an offence to provide immigration assistance for unregistered agents in Australia, and that all complaints of visa fraud are taken very seriously and followed up with an investigation. The DIBP also advised visa-seekers to check the register of agents on the OMARA website to ensure they are engaging a registered migration agent. For more news and updates, follow SBS Punjabi in Facebook and Twitter.